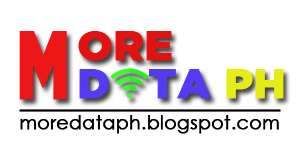 Home Globe Globe Gosakto Globe Promo Globe Surfing GoSURFBE34 is the cheapest Gosakto Promo good for 15 days. Ang GoSURFBE34 ay mayroon lamang na 20 MB data subalit tumatagal hanggang 15 araw. The good thing sa Gosakto Promo na ito ay maaari mo itong patungan or dagdagan ng DATA. Ibig sabihin this is recommended for Surfing purpose. Para madagdagan ang kasalukuyang data nito, kailangan mong magregister ulit ng other available gosakto at ang tawag dito ay "add-ons". To top up, you can use for ex. GOTSCOMBOKEA37 which gives 1 GB of Data for 1 Day only. However, since this will use as ad-ons to the GoSURFBE34, then the validity of GOTSCOMBOKEA37 will also be for 15 days. That's good enough for internet surfing! You can also repeatedly register thus adding the data content on your registered Gosakto.